From October to May, we invite you to “tromp the swamp” – FREE of charge – to observe the exclusive, natural beauty of the Barley Barber Swamp. 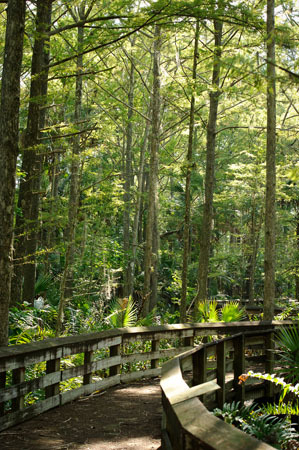 All groups are accompanied by a tour guide along our 5,800 foot closed loop boardwalk. Individual tours are by reservation and must be booked in advance. Tours are available Wednesday through Sunday at 8:30am and 1:30pm. Buses depart from the Seminole Inn. Seminole Inn -- 15885 SW Warfield Blvd.